This MacBook Pro chassis is unlike any other. Leaked photos of what is claimed to be Apple’s next-generation MacBook Pro all but confirm it will ship with a new OLED touchpad above its keyboard. 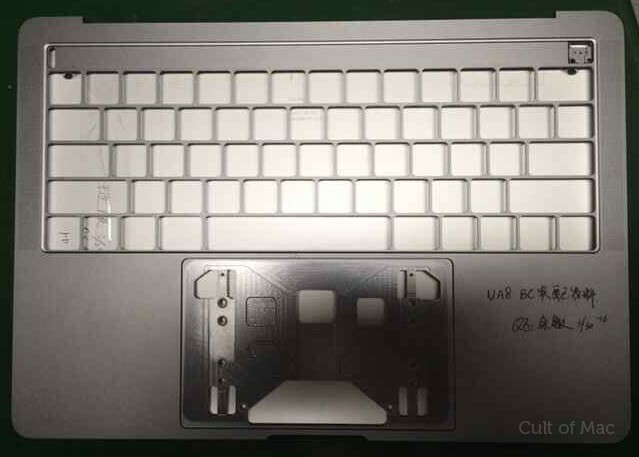 The images sent to Cult of Mac also hint at four USB-C connectors. A recent report from reliable KGI Securities analyst Ming-Chi Kuo promised Apple will introduce an OLED touchpad to the MacBook Pro lineup during the third quarter of this year. The machine is also expected to get a thinner form factor, and Apple’s new butterfly keys. Is this the front of the 2016 MacBook Pro? 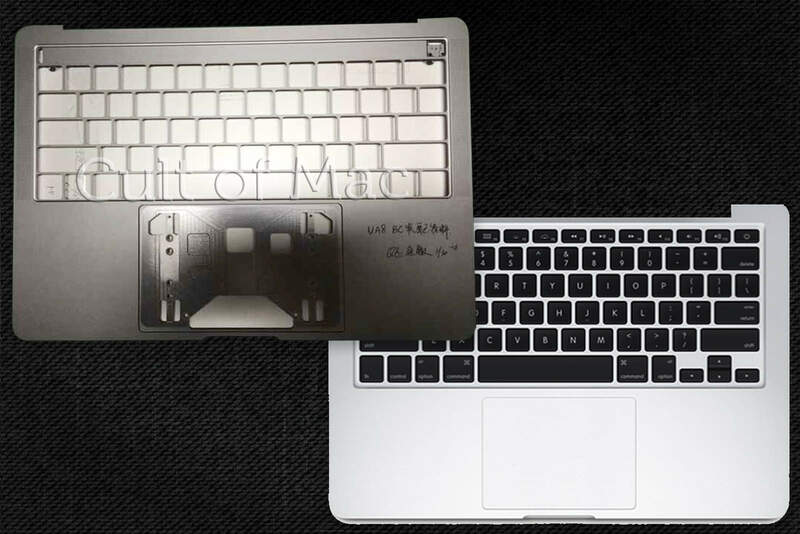 These photos, sent into us by an anonymous source who claims to work for one of Apple’s manufacturing partners in China, reveal a new cutout above the MacBook Pro’s keyboard — where the function keys would normally sit — that could house that OLED touchpad. There are a bunch of reasons why adding an OLED touchpad to the MacBook Pro is a great idea, the main one being the ability to customize those function keys to swap out shortcuts you don’t use for ones you will. You could also add shortcuts for specific apps. It looks like the touchpad might have a lip that slips into that smaller hole on the left side of the cutout, keeping it in place. The hole on the right side appears to contain three pins, which likely connects the touchpad to the logic board. These photos also suggest that almost all of the connectors on the machine will be replaced by USB-C ports. There appear to be two on the right and two on the left sides of the device, while the only other hole looks like a headphone jack. These images suggest the new MacBook Pro will have just four USB-C ports and a headphone jack. It’s hard to tell whether the new MacBook Pro is any thinner from these photos, but it doesn’t appear to be significantly slimmer than the existing model. We can see what looks like speaker grilles either side of the keyboard, which suggests Apple may have moved the speakers to make way for that OLED touch pad. On existing models, the speakers are located at the back of the keyboard. The MacBook Pro has long been Apple’s “prosumer” notebook, aimed at those who need a portable powerhouse they can take anywhere to get stuff done on the go. The most recent models were introduced just over a year ago when Apple added Intel Haswell processors, up to 16GB of RAM, and Force Touch trackpads. The lineup is certainly in need of a refresh, then, and if Apple’s going to make us wait until the third quarter for it, it has to be a big one!